Have you lost your key and looking to find out about Acura key replacement cost? We all know Acura is Honda’s luxury brand. The brand has actually surpassed expectations by combining strong performance with practicality. However, losing your Acura key can be very frustrating, especially if you really need to go out with the car. Nobody should be too sad about losing something as important as a car key, because anyone can forget anything. But the main concern here is how to get Acura key replacement. Getting an Acura key fob replacement shouldn’t be a very difficult task if you know what to do and where to look for a replacement. 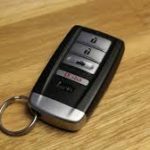 This article is going to provide a comprehensive guide on the best way to replace your Acura keys. We will also provide you with the cost information so you know what to spend hen looking for key replacement. With the right information, you can get the perfect key replacement at the best possible price without sacrificing the key’s quality. There are different types of Acura brand and it’s important to know the information about your car’s brand before going for a replacement. Popular Acura models include Acura RLX, Acura RDX, NSX, MDX, as well as Acura ILX. How much is the cost of Acura replacement key? In most cases, key replacement cost starts at $120. Although you may say varying costs depending on the model of Acura car keys, their differences are not far off. This means that there are bound to be price fluctuations, but you won’t have to pay anything extraordinary in terms of Acura Mdx key replacement cost or other models of key replacement. But be prepared to pay higher if you need additional services apart from the main key replacement service. As stated earlier, you need to know the model of your Acura car because that may influence the cost of a replacement key. So, if you are looking for Acura RDX key replacement or Acura TL key replacement cost, be informed that the cost will vary depending on the car model. Another important thing to know is the year of manufacture. As is the case with the cost of the car, newer replacement keys are more expensive than older replacement keys. For instance, a 2018 Acura TL replacement key will be more expensive than, let’s say 2016 or 2017 model key. 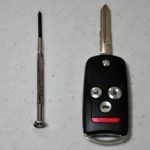 How about car key remote replacement? It’s also possible to replace the remote along with the car key. But remember that it’s not possible to reprogram your car key remote, so it’s important to get the right Acura key fob replacement along with a new matching Acura remote for both to work effectively. Try as much as possible to avoid buying the wrong remote to prevent all the hassles when returning the remote to the locksmith. What information is required by the locksmith for Acura replacement key? The basic information the locksmith will require is your car brand, car model, and year of manufacture. However, there is some other little information they will require. Some of them are like being locked out of the car or other problems you’ve had. This will help the locksmith get you the perfect key replacement for your car model. Remember that Acura models are very similar. So it’s vital to be very careful when telling the locksmith of your car’s model. Is the original car key needed for a replacement? There is no need to provide the original car key before a replacement is possible. The skills and expertise of a professional locksmith are enough to get you a replacement key that perfectly suits your Acura car. What’s the time frame to get a replacement? It doesn’t take long to get you an Acura key replacement. Generally, a replacement shouldn’t take more than 25 minutes. And, you have provided the accurate information the locksmith will need to work on the job. However, the exact time frame for your replacement can differ based on other factors. Some them are unlocked the car if locked, additional keys, need for programming, or decoding. If the original car keys were broken and some fragments are left in the key hole, it will take more time to remove those fragments and wipe the hole clean before making a replacement key. But for lost Acura car keys, this will not be necessary. All these are factored into the time and cost of providing Acura car key replacement. Acura’s key technology provides convenience to car owners. But when there is a problem with the key system, fob replacement will be in order. It’s a more customized form of key replacement and it requires programming and key cutting technology. Because of some technicalities involved in it, Acura key fob replacement is usually more expensive than other forms of key replacements for Acura car brand. If you misplaced the entire bunch of keys for the car, it will be more expensive to replace them because you need o get a new ignition key and immobilizer. If you have lost Acura car keys or the key got broken in the hole, the ideal thing to do is to look for Acura key replacement. It’s not a complicated thing to do, but you have to incur the cost of replacement. As has been explained above, there are different costs associated with key replacement, as it depends on several factors. Generally, you can get your Acura car key replaced for about $120 to $300. Again, this depends on the model of the car and date of manufacture. But if you lost the entire bunch containing all the keys for the car, you will need to change not only the car key but also the ignition and immobilizer. Overall, it’s important to understand the actual model of your car. And, know how much it’s going to take to change the car key. If you are looking for more information on key replacement cost, you can always check out this page here. They have all the information you need to make the right decision when paying for Acura key.